This museum was named after the great scholar of Fiesole, Angiolo Maria Bandini (1726-1803), who worked as the chief librarian at the Biblioteca Medicea Laurenziana. Unusually for his time, he had an antiquarian interest in early art, accumulated a small collection which he left to the town of Fiesole. In 1913, this little museum was especially built to house. It's tiny (only four rooms) but contains some exceptional early art, including in Room 1 a rare depiction of the pregnant Virgin, the golden Madonna del Parto by Nardo di Cione and panels by Agnolo Gaddi and an Annunciation attributed to his father, Taddeo Gaddi. 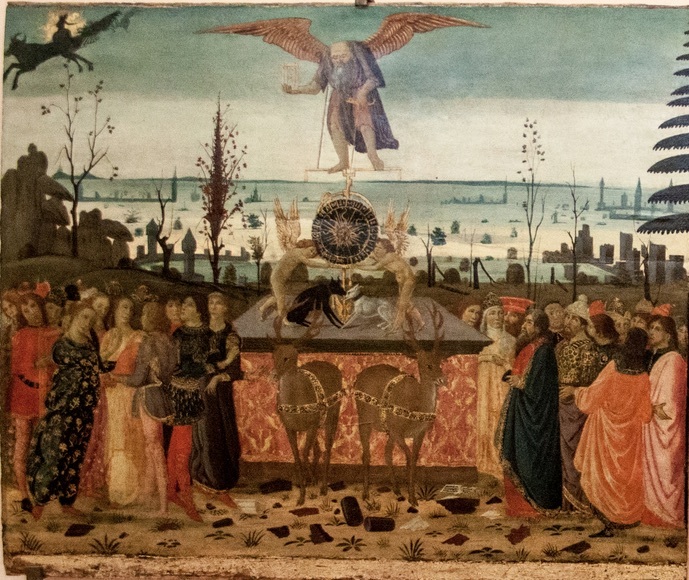 Room 2 contains outstanding trecento paintings by Lorenzo Monaco and Bernardo Daddi (St John the Evangelist) Lorenzo di Bicci, as well as works by his son, Bicci di Lorenzo and grandson Neri di Bicci. 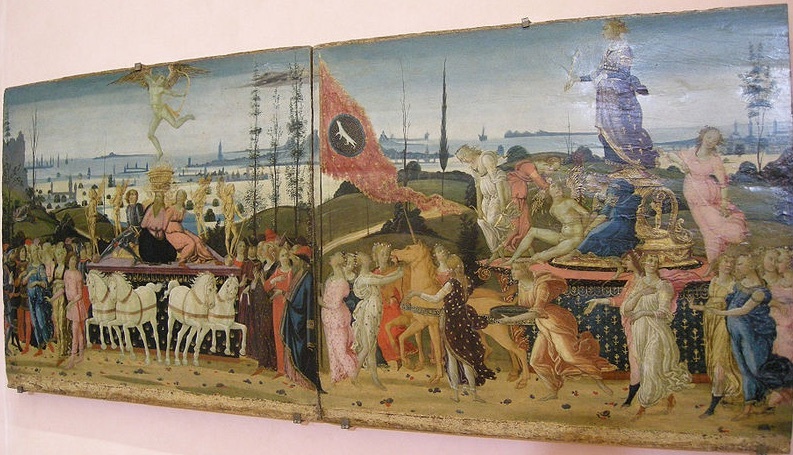 The only secular works in the museum are Jacopo del Sellaio's Triumph of Love and Triumph of Chastity (c. 1480) and Triumphs of Time and Eternity, based on Petrarch, are delightful illustrations of the allegorical processions that the old Tuscans loved. Rome 3 has numerous della Robbia terracottas, especially by Luca and his nephew Andrea. In Room 4, look for a Tondo of the Madonna and Saints by the great painter from Cortona, Luca Signorelli, a stucco of the Adoration of the Shepherds attributed to Giambologna and a tender, painted terracotta Madonna and Child perhaps by Brunelleschi that became a prototype for numerous similar depictions around Tuscany.